As many managers know, a happy employee is a productive employee. When a worker is feeling dissatisfied with his or her job, on the other hand, their performance can take a plummet. This affects your bottom line and building mutual respect in your company. Luckily, a difficult employee isn’t necessarily impossible. With the right approach, you can reach out to employees who are exhibiting problem behaviors and work with them to improve morale and productivity around the office. The ultimate benefit is the mutual respect you build, too. Acting rude, condescending, or insulting towards coworkers. Acting aggressively, including throwing things, physically intimidating peers, and more. Publicly shaming or berating work colleagues. Threatening legal action against others at work. Flouting authority and ignoring rules. Once you are certain that a situation is becoming a problem, it’s time to take action and handle your difficult employee. Instead of firing or disciplining a worker who is disrupting your office, you should try talking with them to see if you can resolve the issue in a dignified and conductive manner. If you receive multiple complaints about a single employee or notice them acting in disruptive ways, it’s probably time to intervene and fix the problem before it gets any worse. An unhappy employee doesn’t just have the potential to affect their own work performance, but may also decrease the productivity of others due to bullying or other toxic behaviors. You should set up a meeting with a problem employee as soon as possible especially if that employee’s behavior is diminishing building mutual respect. Have a plan for your meeting. Be sure to anticipate the possibility of an angry or indignant response. It’s important not to attack your employee. Instead work with them to improve their performance while on the job. Show them that you value their opinions by taking their concerns seriously and developing a solution together. Employees respond best to a manager who both shows and demands building mutual respect. Once you’ve gotten to the root of the problem behavior, you can come up with a plan to solve the issue. There’s no one-size-fits-all solution to a difficult employee whose behavior diminishes the building of mutual respect. 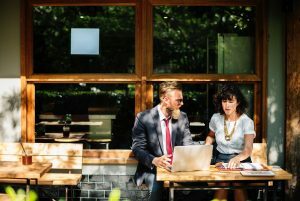 But by listening and communicating your expectations and understanding of the employee’s situation, you can help your employees to improve their attitude and increase their productivity. Care to Dig Deeper Into This Conversation about Building Mutual Respect? After taking a career sabbatical to become a mother, Jackie now writes full time on topics ranging from finance and business, right through to news and current affairs. She has, in the past battled problems with anxiety and panic, and in her spare time she volunteers for a number of local charities that support people with mental health issues. PS: Here’s to mothers who are keeping their skills honed while raising our next generation of solid citizens. Thanks, Jackie. Super article.